Palm Beach Gardens residents can count on Lindstrom Air Conditioning & Plumbing when it comes to air conditioning repair and installation, plumbing, duct cleaning and all of their HVAC service needs. Lindstrom Air Conditioning has been servicing the area since 1975 and has become one of the most trusted service companies in all of Florida. We offer a wide range of products to help meet the needs of our Palm Beach Gardens customers. These products include air conditioners, heat pumps, air purifiers, water heaters and more. We have over 200 team members that are ready to help with all of your HVAC and plumbing needs. Our certified and trained AC technicians have several years of experience of air conditioning repair and installation in Palm Beach Gardens. We offer 24 hour emergency AC repair service if you ever have an unexpected air conditioning unit issue and our vehicles are fully stocked and ready to handle all of your air conditioning needs. We also offer a full range of air conditioners, heat pumps and residential cooling if it is time for an upgrade to your existing system, and our experienced air conditioning pros can help you select the right HVAC system for your home and budget. Lindstrom Plumbing provides quality plumbing service in Palm Beach Gardens. Experiencing a leak or a clogged drain? Our plumbers are ready to help! 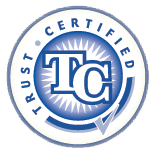 Our trained and experienced plumbers meet our rigid trust certification standards and our quality plumbing services are guaranteed in writing against defects in materials and workmanship. We proudly provide fast, professional plumbing service to our Palm Beach Gardens neighbors. No matter what your plumbing needs are, we offer the services and products to meet them. For all of your service, repair and installation needs, give us a call when you need a plumber in Palm Beach Gardens!